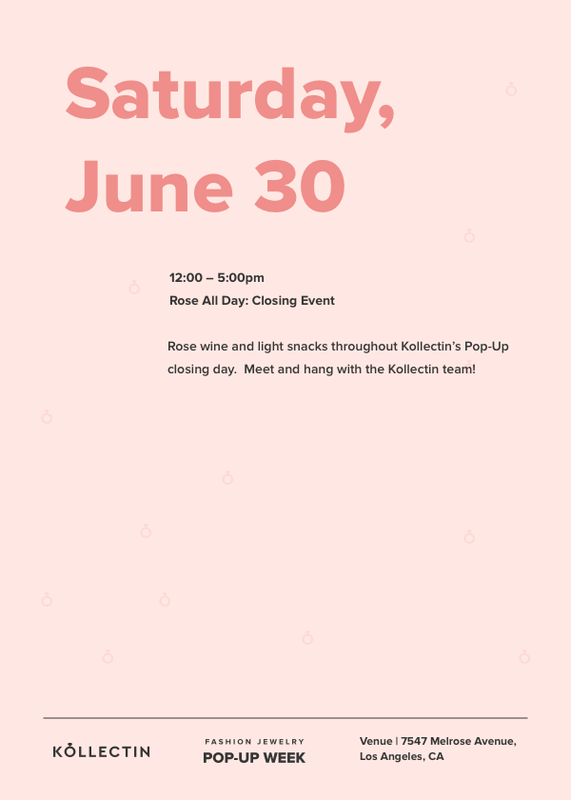 Enjoy Rosè, wine and hors d'oeuvres at Kollectin’s Pop-Up closing day - Featuring amazing Rose Wine selection from Fitvine. Meet and hang with the Kollectin team; let us know how your feedback and thoughts on our mission to aspire to inspire! Meet local Influencer Style Stars and check out their curated Kollectin jewelry collections.